Apex Fire attended the Chief Fire Officers Association Annual Conference in The Malton Hotel, Killarney, on May 4 and 5 last. The conference was attended by all the country’s Chief Fire Officers, and a very informative programme included presentations by speakers from the USA and UK as well as Ireland. Apex Fire maintained a stand throughout the two days in the Fire Technology Exhibition that ran alongside the conference, and we enjoyed many interesting meetings with some of the country’s leading experts in fire safety and fire fighting. We found the conference and exhibition very worthwhile overall. We say a big ‘thank you’ to the organisers and we look forward to next year’s conference. Apex Fire has worked with Ben Dunne Gyms for 4 years in all of our locations. I would like to commend the company of the level of service and exceptional professionalism that its employees exert while performing work in our buildings. I can highly recommend Apex in all aspects, from the relationship with our account manager to the excellent service we receive from Dave and Tony on the ground. Apex Fire Limited have worked with Care Choice over the past 9 years to develop and deliver customised fire safety training to staff in all of our residential care facilities. They also inspect and maintain all our portable Fire Safety Equipment in accordance with Irish Standard IS291. I have always found Apex Fire team to be extremely professional, proactive and reliable. I can confidently recommend their services. 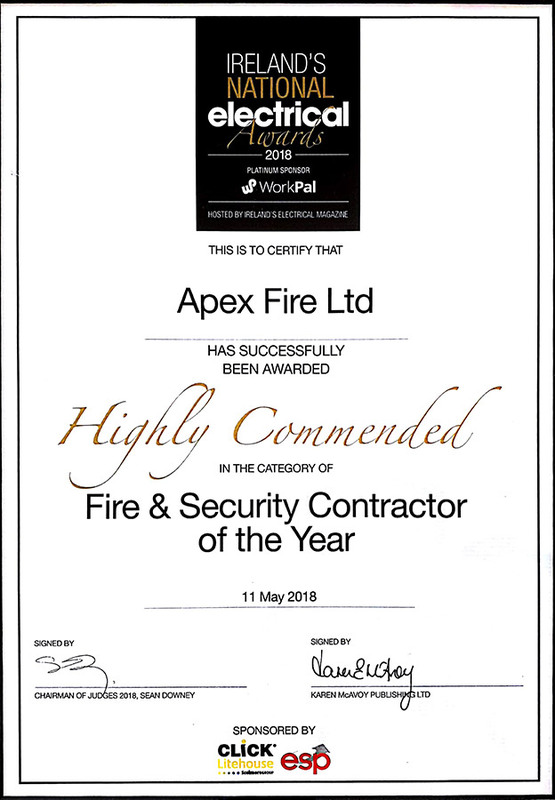 Apex Fire provides full national coverage, with our technicians located in all counties installing, commissioning & servicing fire protection & detection equipment.